If you are a Cannabis enthusiast, surely, traveling with marijuana already crossed your mind. And this is true for Cannabis medical patients, some of whom would never consider traveling without their medication. However, many places still consider marijuana to be illegal, whether be it legally prescribed or for recreational purposes. 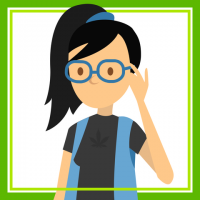 This greatly affects medical marijuana users, when they need to travel along with their medical cannabis, as their right to medication is compromised. But as a responsible Cannabis user, practicing your freedom to do what is right for you, would be far more important than considering these prohibitions when traveling with weed. Although traveling with cannabis may be illegal for most places, but if you are willing to take the risk, there are ways that you can do to possibly avoid being arrested and prosecuted when traveling with your medical Cannabis. Traveling with weed can have you dealing with TSAs at the airport. But they are not law enforcements. They don’t search for marijuana and they cannot arrest you. If somehow a TSA employee noticed your stash, the worst that they can do is to refer you to a local law enforcement. So, it is advisable to pack your weed discreetly, for it not to attract any undesirable attention at the airport. You obviously would not carry anything explosive or anything that can be related to that. When you are traveling with your medical cannabis, make sure you apply extra caution not to cause any possibility of a misunderstanding or false alarm. Do not attempt traveling with cannabis when you are carrying anything remotely explosive with you. All the security procedures at the airport, like dogs and chemical wipes, they are for bombs and other explosives and not for detecting weed. This would include things that can be mistaken for bombs, such as a lighter, liquids, electronics, alarm clocks etc. Obviously, if these potential ‘explosives’ were detected from your baggage, a thorough search will be conducted by TSA and definitely your stash will be busted and you can end up being referred to the local law enforcement. When traveling with cannabis, the merchandise should have a discreet packaging that is odor-proof at the same time. There are storage boxes available in the market that can conceal your stash from being detected. Wrap it in saran wrap and stuff it in a sock and place it at the bottom of your luggage. You can mix your weed package with coffee beans to cover its odour. You can also try stuffing it in hollow objects, like hairbrushes, and hide it inside your luggage. Others bring oil pens and cannabis concentrates instead of dry herbs. And the most discreet of all, edibles. Pack up marijuana edibles and no one would ever know that it has the good stuff in it. And if you’re just carrying only a handful of the good stuff, you can simply roll a joint, mix it with regular cigarettes and put it in a check-in bag. And most importantly, regardless of how you do your packaging, do not travel with cannabis in a carry-on bag. Always put your stash in a check-in luggage! Traveling with cannabis? Make sure you just have a fair amount of weed with you that won’t suggests that you’re a big-time dealer. I would recommend carrying under an ounce of the flower or joint. It is easier to conceal inside your luggage and the chances of you getting off the hook when caught are higher. TSAs usually just let go of the issue if insignificant amounts of weed have been detected. If you have an available medical card, bring it with you. And also, make a copy and put it with your stash as you pack it with your check-in luggage. Most people get caught traveling with weed when they go paranoid. So, keep it cool! Guilty people looks obvious in hiding things. And get caught because they spend too much time freaking out about their stash. So, relax, you are not smoking your weed at the plane and definitely not selling them. Give yourself a break and avoid being too cranky and get caught. No international flights when traveling with weed! No Buts, just no! Every country has its own rule and regulations when it comes to handling drugs. Same goes with the penalties they impose when caught. So, don’t risk your safety in other countries’ hands because you’ll never know the consequences you will be facing. Even otherwise democratic countries, such as Singapore could get you life imprisonment or even the death penalty if they think you are trying to take cannabis into their country. 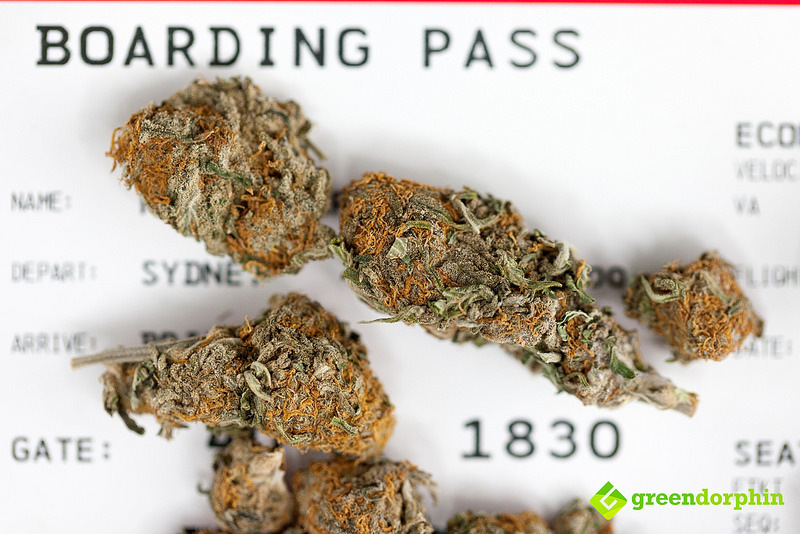 Traveling with cannabis is restricted to national flights within countries that allow cannabis use. Overall, it is not as difficult as it seems. There are a lot of ways to bring your medication with you without getting yourself into trouble. You just have to know how to keep calm and stay focused while traveling with your precious stash. Have you traveled with your green stuff?